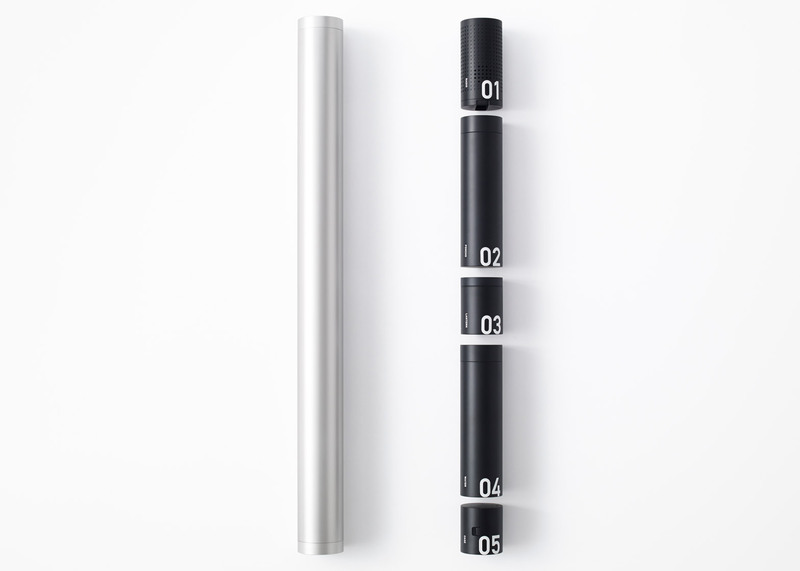 Japanese studio Nendo has designed a minimal emergency kit for those affected by earthquakes, containing a whistle, radio, raincoat, lantern, water container and multipurpose case in a slender tube (+ slideshow). 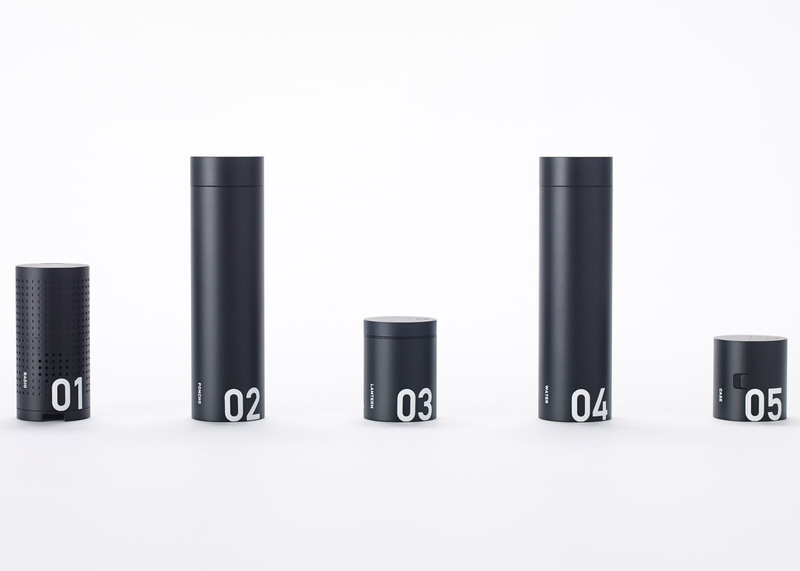 Nendo designed the MINIM+AID kit in response to the devastating earthquake that struck Japan in March 2011, which left around 4.4 million households in northeastern parts of the country without electricity and 1.5 million without water. "Rather than the conventional emergency preparedness kits that all tend to resemble one another, people are now seeking a more versatile solution that is appropriate for a variety of situations," said the designers. "This called for the development of an emergency preparedness kit that includes the bare minimum necessary for a city-dweller to make it to a place of refuge during an earthquake or other disaster." 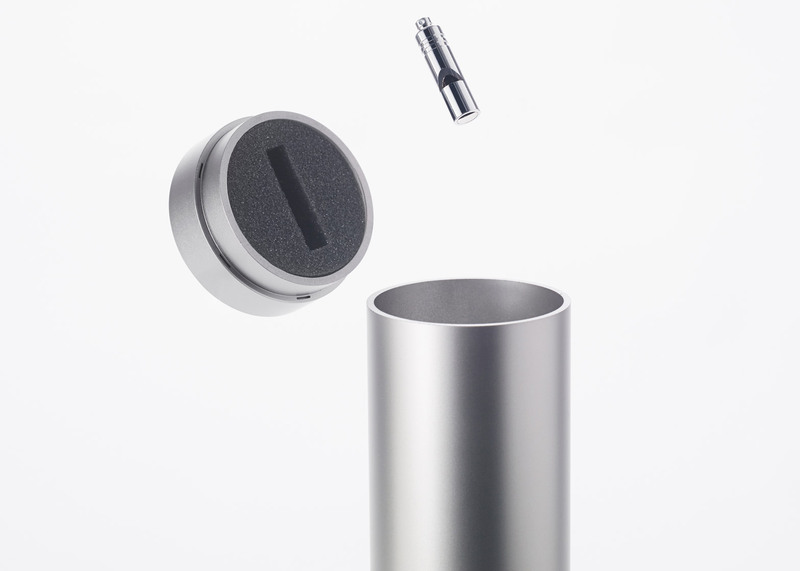 An emergency whistle for attracting attention is slotted into a foam insert in the lid of the waterproof case, which has a diameter of just five centimetres and is light enough to be buoyant. 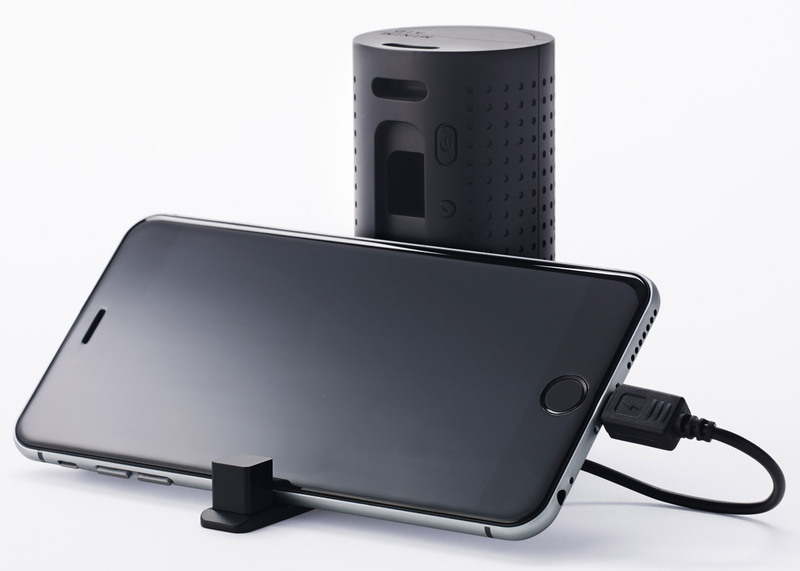 The radio has a rotating handle for hand-charging and also incorporates a USB port for charging other devices such as a mobile phone or the kit's lantern. 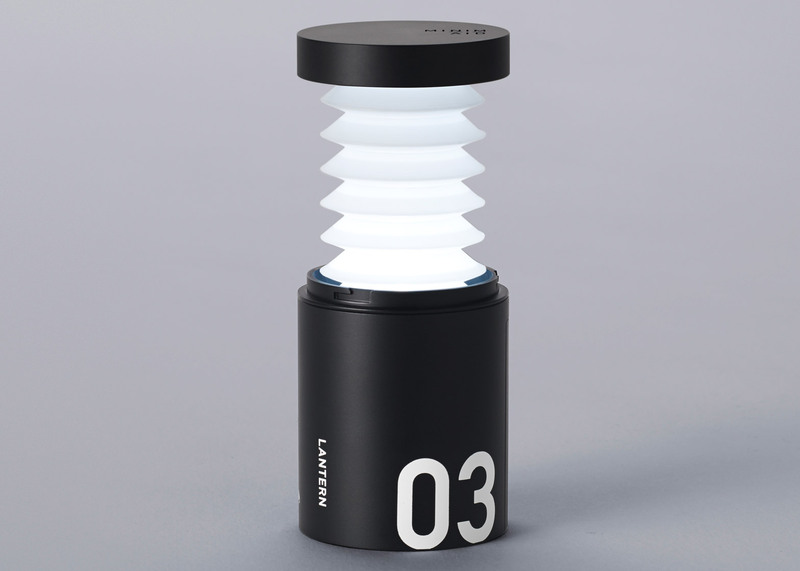 The lantern features a rechargeable battery and LED light source with a concertinaed plastic diffuser. 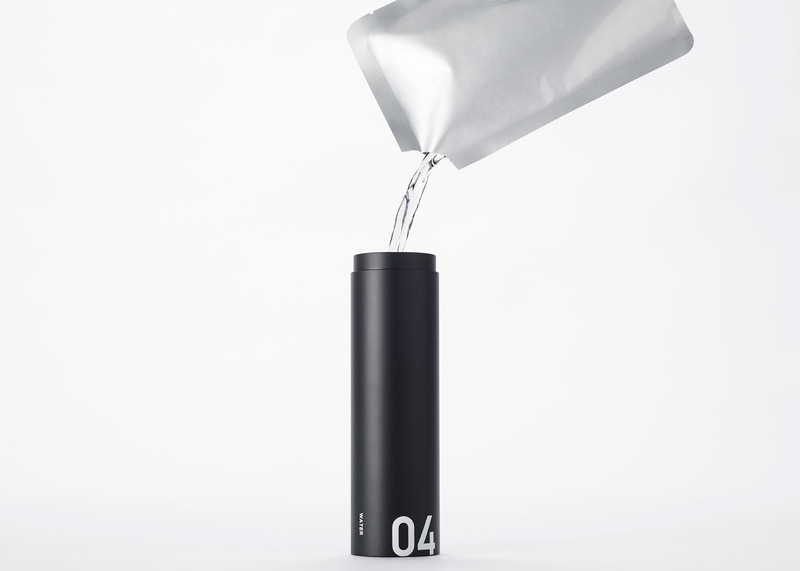 A foil pouch inside another of the tubes holds drinking water. 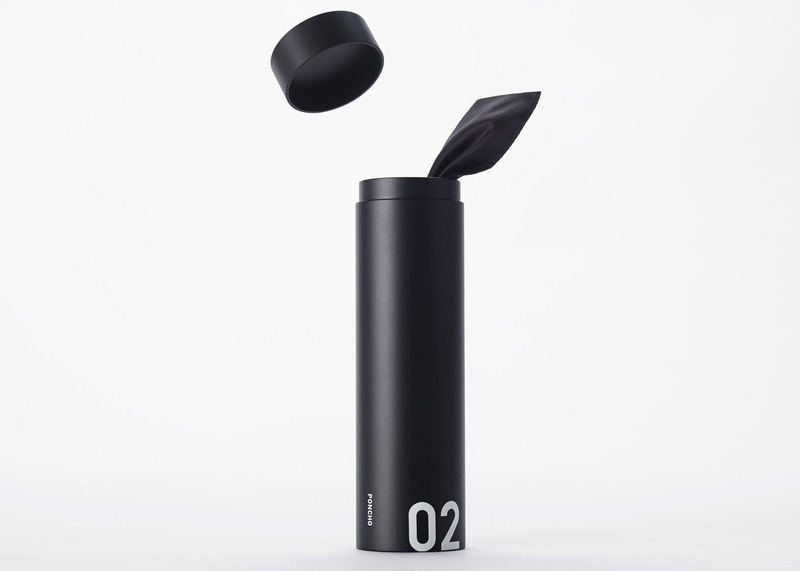 The tube can also be used as a drinking vessel if required. 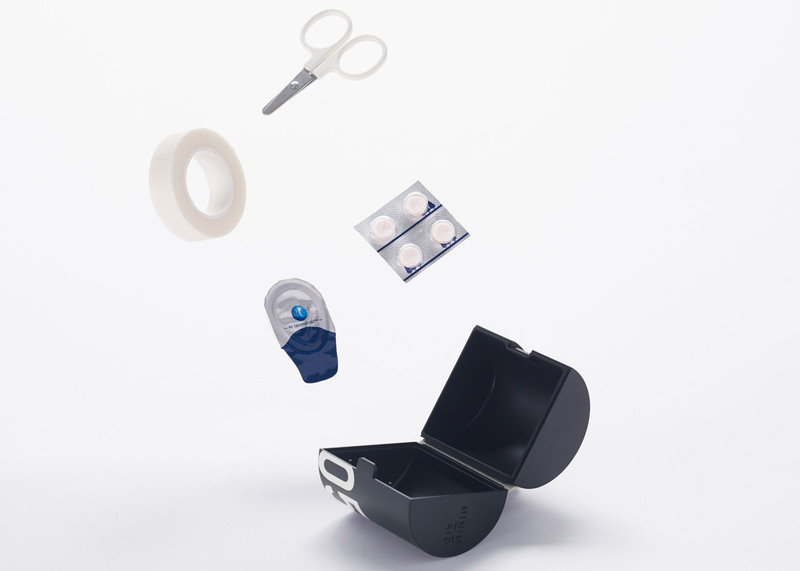 A simple hooded anorak is contained within one of the longer tubes, while a small hinged plastic case can be used to hold medicines, first-aid supplies, sanitary products, batteries or any other items the user deems necessary. "Despite its compact design, the kit offers a rich set of features," the studio pointed out. 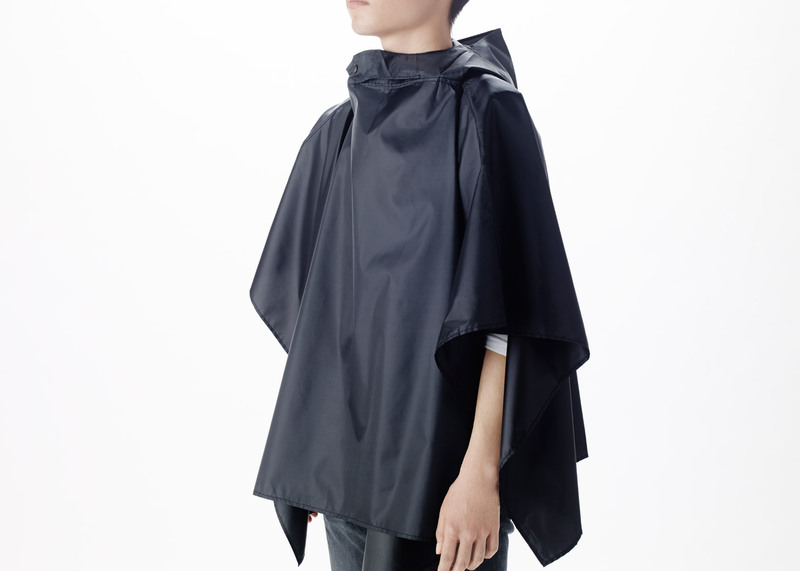 "Slimmer and more compact than conventional emergency kits, it's easy to carry and can also be worn over the shoulder using the included strap." The simple design is intended to give the product an unobtrusive character that allows it to be placed near a home's entrance so it is ready if required. 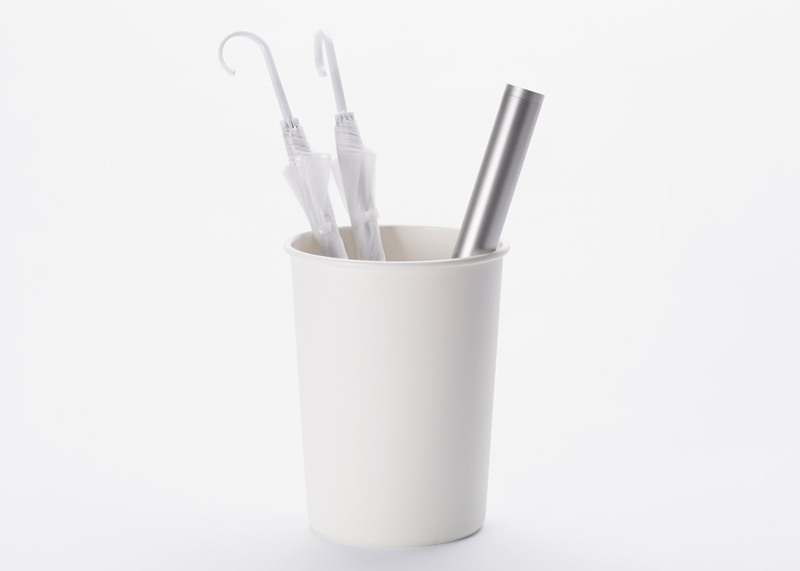 The outer case is available in silver, white or black and the individual cases for the tools can be specified in one of three colours. 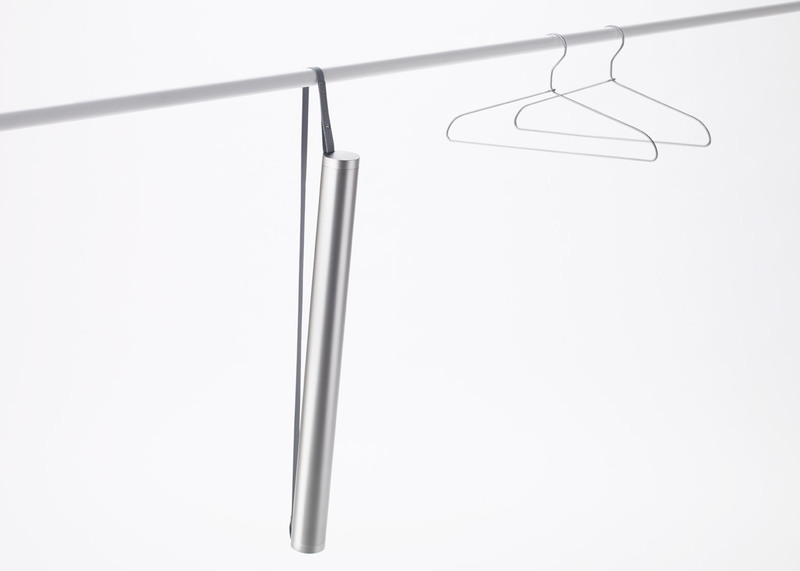 The product is compact enough to rest in an umbrella stand and a removable carrying strap can be used to hang it in a closet. 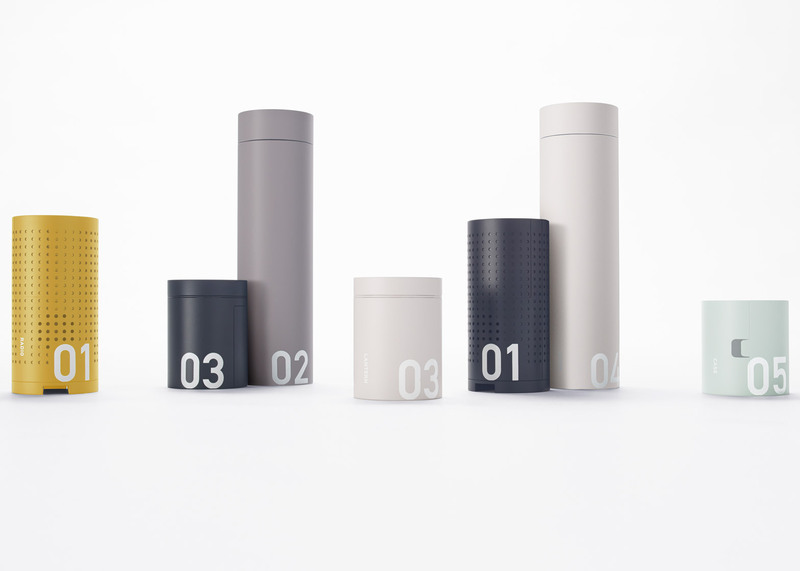 The MINIM+AID kit is the latest example of Nendo's prolific and varied output, which has previously included cone-shaped slippers that stack on top of one another, packaging for a perfume by fashion brand Kenzo shaped like a tiny totem pole and ceramic tableware with handles that make it easier to store them and carry hot food. 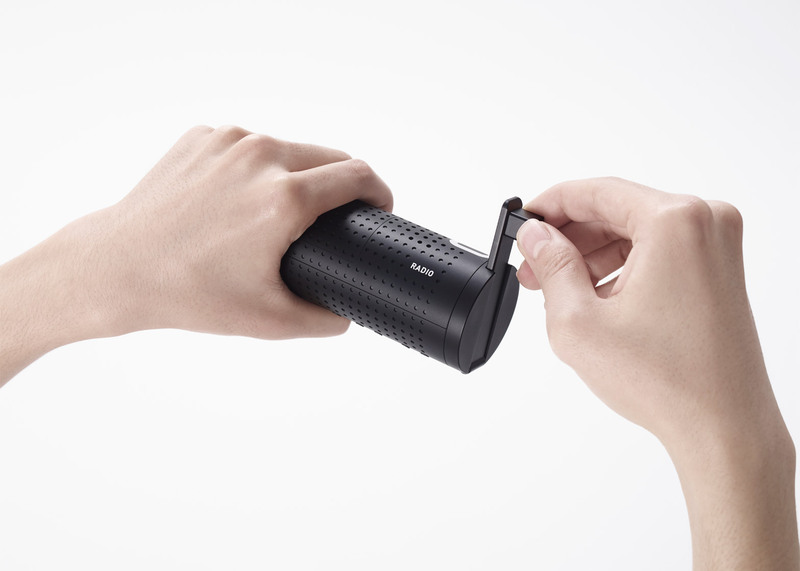 The product was developed for Japanese brand Sugita Ace and will be released in Japan in June 2016. Photography is by Kenichi Sonehara.